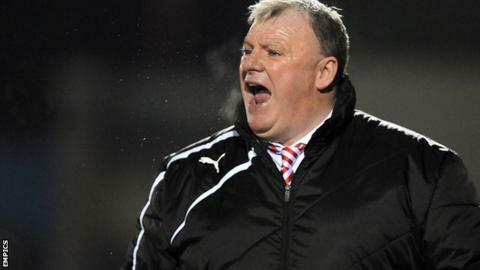 Rotherham boss Steve Evans felt goalkeeper Adam Collin was culpable for both Fleetwood goals in Tuesday's Johnstone's Paint Trophy defeat. The Cod Army ran out 2-1 winners in the Northern Area semi-final with goals from Jeff Hughes and Conor McLaughlin, either side of Nouha Dicko's strike. "You can not allow for two goalkeeping errors," he told BBC Radio Sheffield. "He [Collin] has had a bad night but he's helped us get in the top six of the league so I can't be too critical." He added: "It couldn't have got any worse for him tonight. The first one was highly poor and the second one would have been saveable if he'd moved his feet. "He knows he's made mistakes and it's down to me to help pick him up now." Despite missing out on the chance to set up a Northern Area final against local rivals Chesterfield, Evans was pleased with the level of his side's performance. "It's extremely disappointing to go out but I thought our second-half performance was emphatic," he said. "We showed we are a country mile better than them but we missed a host of chances. We were sensational for periods tonight, I thought we tore them to shreds. "We showed the gulf in class but unfortunately people only look at results when it comes to cup ties."